Joan Lily Porter, aged 61, Scottish born and bred,Popular and Accurate Clairvoyant Medium and Spiritualist Healer since 1974. Angel and tarot card reader. Obsessed with domesticated and wild animals, especially small furry ones. I love my work as a Clairvoyant medium, tarot and angel card reader. No two days are the same in my work and I meet some lovely people to read for. My greatest joy is to connect a bereaved person with there spirit loved one and to give proof of that persons survival. I enjoy reading the cards and the positive feedback this generates. I live in a tiny fishing village called Pittenweem in Fife, Scotland. My home is right by the sea and in stormy weather I have been known to pick seaweed off my front door handle. Angel messages every day, where you do not have to be a psychic reader. Know about your life and the pathway ahead. Buy a set of Angel Cards with the meanings book from Amazon, Ebay or your local book store. Whether you can read the Angel Cards or not is immaterial. Divination is the key. Once you have your box of cards and meanings book you have to learn about divination. Divination is learning to sit peacefully and clear your mind, then ask the angels to send you messages. Shuffle the cards and cut the pack then choose the first two cards. Look up the meanings of both those cards and hopefully, you will receive uplifting guidance and even some answers to problems on your mind. Do the same every day that you feel you need help from the angels. Angel messages every day can help all of us. Whether things are good or bad in our lives. We may even be worried about others and Angel messages can help us there too. 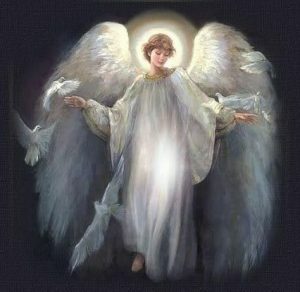 Our guardian angel is aware of what is going on in our lives and with our families. If a problem or worry affects us it affects our guardian angel too and they will pull the stops out to get a sign to you. Feathers are common, repeat numbers, dreams and numerous other things happen to get our attention. Divination is the act of seeing the future using prayer, and meditation with tarot, angel, crystal ball or focal point to tune into. My Psychic Workshops in Fife are due to start soon. In one day pupils can get a basic training in protection prayers, meditation and how to tune in with the higher power. A one to one programme where everyone is active and not just sitting listening to the tutor. You will actively tune in with the higher power and learn one to one healing and communication. The classes will run once a month or where there are more than 10 booked for one class, two separate classes will run on different dates. Each class starts at 9 am prompt and finishes around 4 pm. Tea breaks and a lunch break throughout the day. There are cafes in Pittenweem or alternatively, you can bring a packed lunch and make tea and coffee in the classroom. The classes will start soon and will be advertised on facebook and twitter. 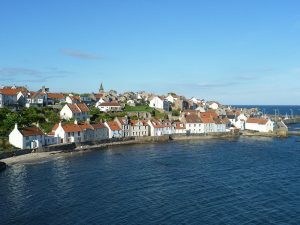 Pittenweem is where the classes will be held. I have asked many people which day they would prefer and it seems a Saturday or Sunday suits most. Where there are too many pupils for one class then a Sunday class may follow. I hope to make the classes interesting but fun too and more importantly where we can all share our experiences of strange happenings and how we feel about the higher power and working under that umbrella. I hope to see you soon and my website will keep you posted on dates. I don’t know if you have ever had a psychic or mediumship reading where spirits subtle messages can leave you with your mouth open in wonder. How did that psychic woman possibly know that?. The truth is the psychic or medium is listening to or seeing what the wise ones in spirit are conveying to them telepathically. Depending on how tuned in, the psychic is, depends on how clear you will get your message relayed. If the psychic is not properly tuned in then messages can be very vague. When you are given names and places, situations and current affairs pertaining to your life and those events register with you, then this means the psychic is on the ball. Has properly tuned in with the higher power before your reading or sitting. We are the telephone link between the spirit realms and the earth plane. We are not special in any way. Just very lucky to have the gift of seeing what most others cannot. A wonderful gift and one to be taken very seriously. People scoff at my work on a daily basis but if their minds are closed off or they do not understand that there could be another part of our lives not yet visited then they are entitled to there opinion too. I read many peoples books and their viewpoints on the afterlife and communication. Do not believe everything you read is my viewpoint. Make up your own mind about what lies ahead and be proud of your decision. The truth will be revealed when we go through the veil at the point of the physical death. The Bible is full of rubbish I feel, with stories handed down and added to over the centuries. Did Jesus Die on the Cross for Us? How can we tell what is real and what is false in that Bible? There are some beautiful teachings and stories in the bible and the hell’ us sinners will face when we pass over is really quite frightening. Some of the writings by negative angry people, bible thumping about something they believe in. Of course, I could have it all wrong too. My first huge disagreement is that Jesus died on the cross to save us all. What nonsense. Do you think God would want his son killed so cruelly when he had just started his preaching and spreading the word of God? Where is the love? Jesus did not die to save us all. Jesus was cruelly crucified on the cross by man, not God. By a man’s greed for power and ego. We all blame God when there is a disaster which incidentally is nearly always caused by man. Human error in every occupation across the board and man made machinery, cars, and trains to name a few. Illness and fatalities caused by bad diet and lifestyle. If we all lived on fish and loaves of bread and vegetables from the land, I wonder if the disease numbers would fall. Yes, there have been medical breakthroughs that can save lives from the womb to the grave. Mother nature has a lot to answer for too, but again she gets blamed for every disaster. Between Mother Nature and poor God upstairs, they are the whipping boys. I do believe that we get the real answers revealed slowly when we pass through to the spirit realms. In the mean time, our children are being taught that Jesus died to save us all. It doesn’t make sense to me. Psychic Email Readings answered until 9 pm daily. The usual time was 7 pm and clients have been asking for this later time. Especially if you are working all day and have dinner to make, kids to see too, the big kid in front of the tv with his shoes off! waiting to be served dinner. The list is endless for us housewives or house hubby’s, whether you are working all day or not. worked on the next morning. Only I will do your reading as I work on my own. This is a popular service even more so than a telephone reading. The reason is, other people can hear you on the telephone. A psychic email reading is silently delivered and quickly. Sometimes telephone readings have to be booked to ensure your reading is when you want it and can fit it in with your daily routine. You can order an email reading at any time of the day or evening then just wait on your answers. If my readings are ever late then I always give my clients a free one or two question email reading. If I am a bit slow it is due to the volume of work but you will be answered as you come in the queue that same day. I use clairvoyance and clairaudience to conduct my readings and I can only give you what I hear and see from the spirit guides and helpers. If I can not get an answer then I will tell you this and refund you for the reading. This doesn’t happen very often but when it has the client has to “wait and see” or work it out for their self. Its the way of spirit communication and I would not be doing my job to just reply with any old answer. I am a genuine psychic medium and take my work very seriously. I hope to hear from you and thank you for having the patience to read my web page. Working in the psychic industry is not for the faint hearted. A lot of budding psychics and mediums tell me they wouldn’t have the confidence to work on the psychic lines. Believe me when I tell you it is through those psychic lines that you will get the best “in the deep end” training and that confidence will start to come after your first shift. After all, you are on the end of a phone. Not in front of the client where you see every crevice and wrinkle on their faces. Every frown of disagreement. The smile when you have got your information correct. Working in the psychic industry can mean low pay and long shifts to make a decent wage every week. 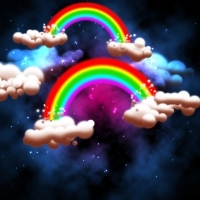 The work will never run out and if you are keen enough you could possibly work for two psychic lines at the same times. dependant on the hours you have chosen. Very handy indeed for a young mother or because you just want to work from home. You save on bus fares and petrol. Canteen bills and hanging about in the freezing cold for lifts. Working at home means you are comfortable in your own space. Because you are comfortable and relaxed you will give better readings I always feel. Always have your tarot books to hand or even better a chart that will have the meaning of every card you draw. This gives you peace of mind that the information you are giving your client is correct. The secret of a good tarot or angel card reading is always in the divination. Shuffling is the most important part and then the layout is important too. Make up your own layout but as long as you understand what the layout means. Card no 1 could be to do with love and card no 2 could be to do with money and so on. Write your own little chart so you remember. There are lots of layouts in the tarot books but I have found I know in my head what each card is pertaining to. This comes with experience though. Practice with family and friends then pluck up that courage to apply to the psychic lines for work. You will get a start within a day if you are any good. Go for a decent wage, no timetable and weekly wages unless you prefer monthly money. I will be adding more articles and posts about how to get started and other forms of psychic work you could be doing over the weeks ahead. 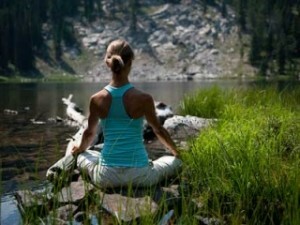 I hope this article will help you to take the plunge. There is more work out there in the universe than you could ever get through in a life time. What you should expect from a mediumship reading is grounded sensible information. Proof from through the veil of who the spirit person is that is communicating. What their habits were or even something that has happened to you recently. The information given from that spirit person will only make sense to you and other members of your family. That information can be jaw-dropping in its clarity or gobsmacking information in its entirety. What we cannot expect from a mediumship reading is to sit down in front of the Medium and expect whoever is on our mind to communicate. Spirit loved ones do not come to order. If they love you then it is assumed that they will be around you in your home anyway. I remember one sitter who I was giving a reading too. he had recently lost his wife and communication wasn’t very good between us but her favourite plant started to dance on its own. Yes! right in front of our eyes. There was no need for words because when this lady was ill on the earth plane and in the hospital she always nagged about her favourite plant and was it being watered.? Well, this huge plant said it all. In most other cases the information is clear and consistent and I just love when my clients go away home and feel like they are walking on air because they have suddenly realised that there husband wife or child has not died at all. I laugh inwardly when people say about a deceased person well let them rest in peace. What a load of old cobblers when spirit persons are more lively than you and I are. What are you doing right now? Are you on your own reading this? Can I say that your angel will be there with you and indeed your loved one. Watching tv with you in their favourite chair. yes they know they are a spirit person but if you ever feel that feeling of someone there then speak or send your thoughts silently. Is that you Brian? or whatever their name is because you will feel that you know who it is. Ask questions or say something but for goodness sake let them know that you know they are there.